DAVID LE/Staff photo. 4/2/15. 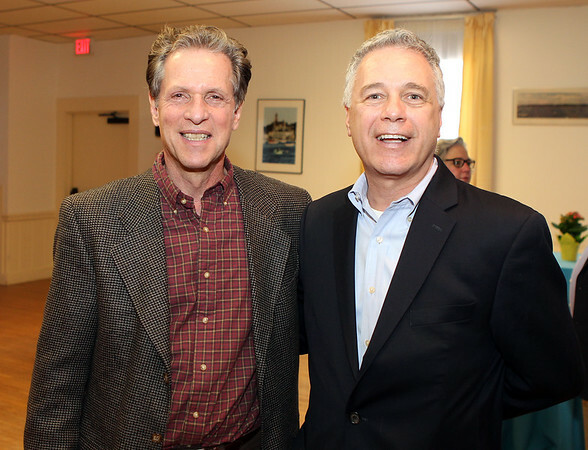 Martin Scheener, Executive Director of the JCC of the North Shore, and George Barbuzzi, President of the Chamber of Commerce Board of Directors, at the Marblehead Chamber of Commerce Spring Open House held on Thursday April 2, 2015 at the Chamber offices on Pleasant Street.